Acme Official Scouts Whistle 49.5. This whistle is 6.5 cm long (2.56 inches). It's larger than the Acme Official Guides whistle. The mouthpiece allows it to be gripped by your teeth or lips. Nickel plated brass. Has a split Ring and is marked "Acme Scout"
Approved by Lord Baden Powell and his sister Agnes, founders of the World Scouts and Guides in 1909. 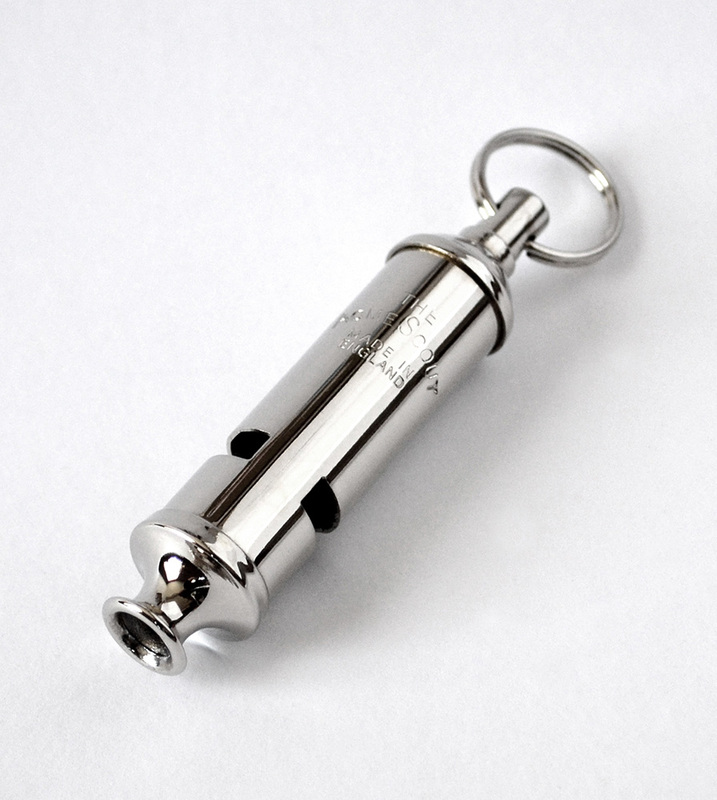 Unlike conventional whistles the Scouts and Guides whistles have their own individual sound and are exclusive to those groups, also a part of the tradition. 47.5 Guides Whistle (smaller whistle) is available under item wa-47.5. Click here to order it.